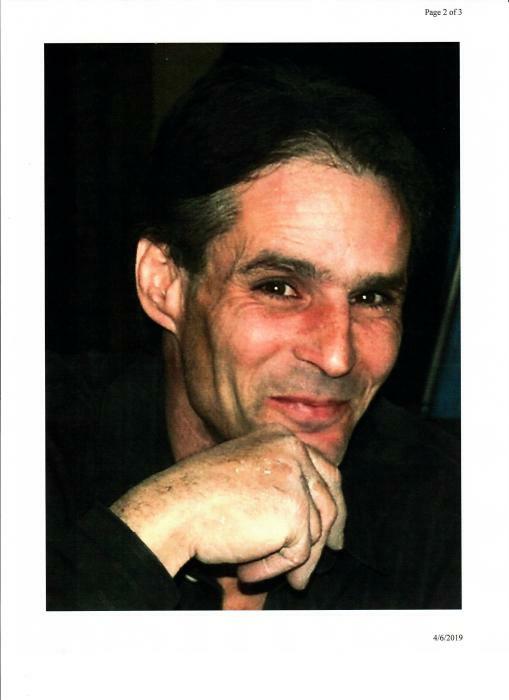 Lunenburg - Kenneth J. McIntyre, 54, of Lunenburg, died March 31, 2019, in HealthAlliance Leominster Hospital. He was born in Malden, MA, November 11, 1964, son of Malcolm and Marilyn (Wilson) McIntyre. Kenneth worked as a painter in the construction industry. Kenneth is survived by his parents, Malcolm and Marilyn (Wilson) McIntyre of South Carolina, his girlfriend; Carol Bergeron, two daughters; Sarah McIntyre of Manchester, NH, Samantha Bruso of Fitchburg, MA, four sisters; Patricia Knight, Marilyn Dempsey, Suzanne Parisi and her husband Charles, Debra Abasciano, grandchildren; Jahdiel Ford, Jaiden Bruso, Elianna Bruso, Adelina Bruso, his brother-in-law; Christopher Knight, along with many nieces and nephews. He was predeceased by his brother Michael McIntyre. "Kenny McIntyre was a humble man with a beautiful heart, who was always willing to help those he loved. His sarcasm was immense and could lighten up even the most intense situations. Throughout his life, he was a hard worker with a profound work ethic. Kenny enjoyed spending time outdoors and appreciated nature. He adored his grandchildren and spending time with them brought the child-like spirit out of him. If one thing can be said and remembered about his untimely death, is how fleeting our time on earth is. We should all cherish every moment together as it may be the last time we ever get. Kenny lives on through all of us, and his smile, laugh and memories will be forever be cherished." A Celebration of Life will be held Sunday, April 7th, 2019, at 2:00 p.m., in Fitchburg Church of the Nazarene, 800 South Street, Fitchburg, MA 01420.